Fall arrest and fall restraint, these are the two basic types of fall protection system configurations. Which type works best for a specific situation and which lanyard has to be used, depends on the demands of the user and the situation. 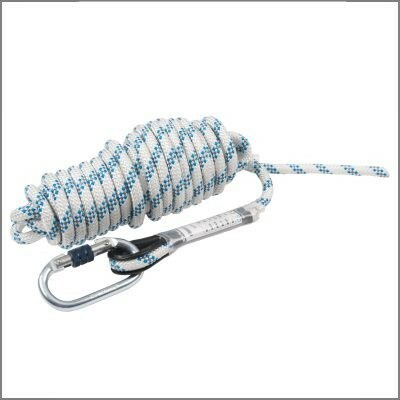 12 mm kernmantle rope with thimbles, a steel snap hook on one side and a blue aluminium scaffold hook on the other side. 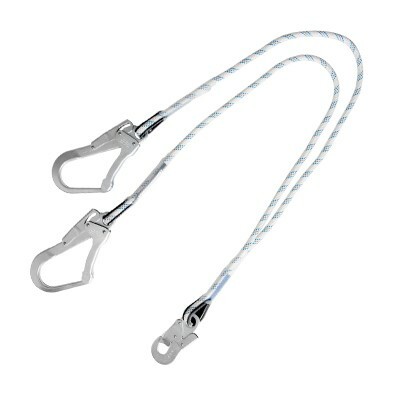 Adjustable 12 mm restraint line with steel snap hook and screw karabiner with minimum length of 1,2 m.
12 mm kernmantle, sharp edge fall arrest line (2,0 m). 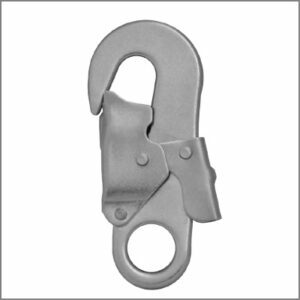 Equipped with aluminium screw lock carabiner and aluminium scaffold hook. 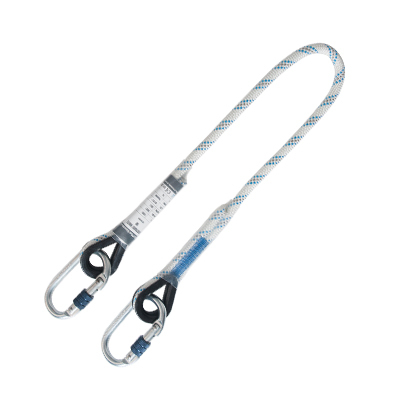 Forked fall arrest line with energy absorber and 12 mm, sharp edge resistant, kernmantle rope. 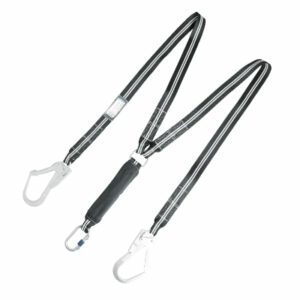 Extendable lanyard of 1,5 m in rest and 2,0 m when fully stretched. Equipped with aluminium screw lock carabiner. Flame and heat resistant lanyard (up until 385 °C) with two anodized safety hooks and screw lock carabiner. This hook is not sold separately, but comes with specific types of lanyards we offer. 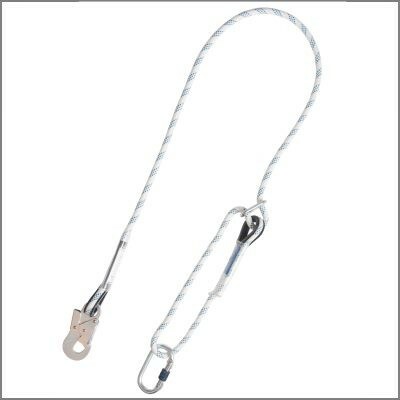 It’s mainly used for restraint lanyards and is equipped with a double locking safety mechanism. 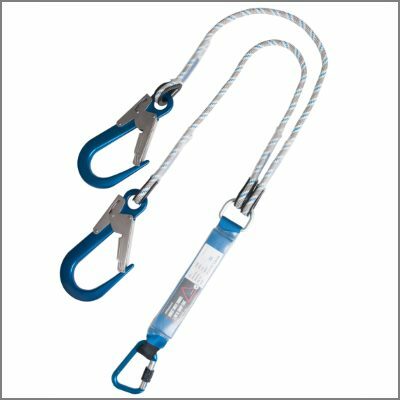 With a restraint system, the length of the lanyard prevents a user from getting close to the edge of the working platform. The safest way to do this is to use a lanyard with a fixed length (usually ≤ 2,0 m). 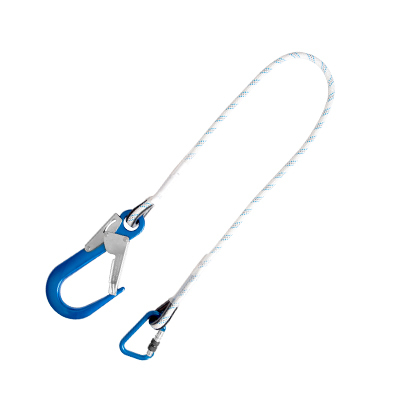 In this case, the length of the lanyard is based on the distance between the attachment point and the roof edge. 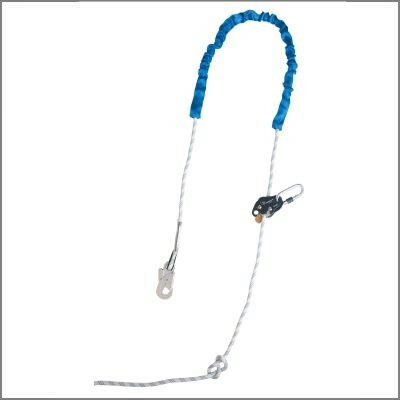 For situations where the distance to the edge varies, an adjustable lanyard is used. In that case, the user manually adjusts the lanyard to the desired length. Of course, this entails a greater risk of human error. 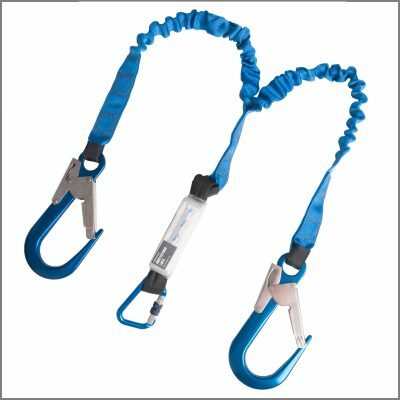 To be certain a worker is safe when an error is made, an adjustable lanyard can be equipped with an integrated shock absorber to minimize impact on the body after a fall. A fall arrest system does not limit the movement of the user, but deals with the consequences of a fall: it makes sure that the fall is arrested before a user hits the ground. Furthermore, the forces that are released on the users body after a fall is arrested are minimized. 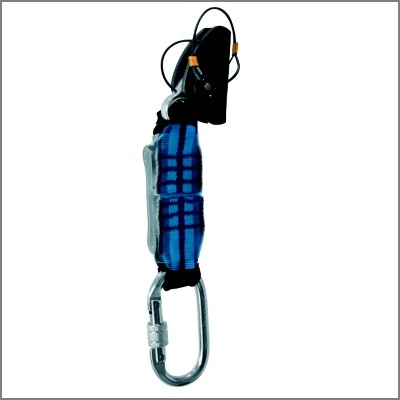 This is done by the integration of a shock absorber in the lanyard or by an automatic fall arrest device. 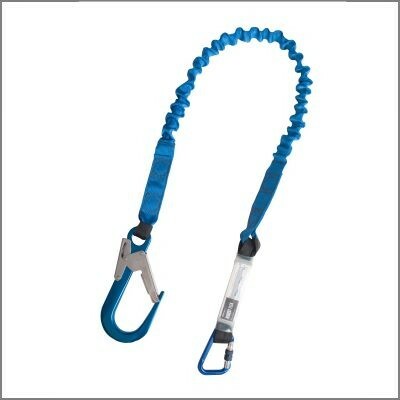 Fall arrest lanyards are 1,5 – 2,0 meters in length and are always equipped with an energy absorber. 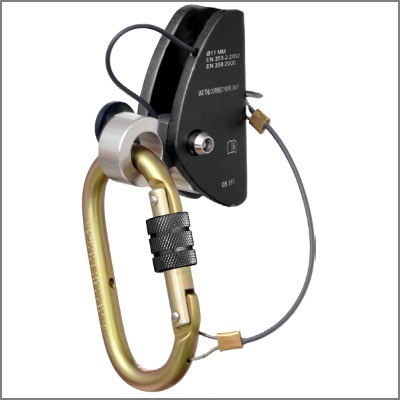 The configuration of a fall arrester attached to a kernmantle rope can be used as an adjustable fall restraint system for ranges longer than 2,0 meters. Other applications are possible as well, like vertical use. The attached energy absorber will reduce impact force to 6 kN when a fall is arrested.